The hospitality industry is hoping to capitalise on the expected visits of African Americans as the people of African descent mark 400 years since the slave trade ended. Boris Kodjoe, among others, visited Ghana as part of programmes earmarked by the Ghana Tourism Authority aimed at inviting persons of African descent to Ghana. In an interview with Citi News, the Marketing Manager of Royal Senchi Hotel, Emmanuel Kojo Mensah said Boris Kodjoe’s visit to his facility to was a welcome endorsement. “I am told that with the visit of Boris Kodjoe and the rest, people in the states are discussing the Royal Senchi Hotel because they have seen pictures videos and other images Boris and his guys took when they came to our facility. This is a big endorsement you can not buy with money or get but it takes a good name and goodwill and this is very important for Ghana and our tourism industry”. Frederick Adjei-Rudolph the Eastern Regional Manager of Ghana Tourism Authority who is equally enthused about the visit of the Hollywood actor called on other facilities in the country to position themselves well to also benefit from foreign endorsements. Emmanuel Kojo Mensah called on the Ministry of Tourism and the Ghana Tourism Authority to do more in promoting facilities who are ready and willing to put Ghana on the pedestal. “Ghana can use the peace we are enjoying in the country to do that, in as much as you need the facilities which we currently have in the country we should you the peace and promote our facilities because it is a big advantage we have over other countries” he added. 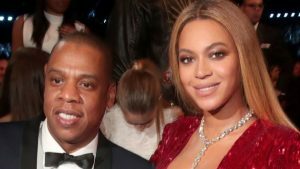 The post Year of Return: Hotelier hoping to welcome Beyonce and Jay Z appeared first on Citi Newsroom.